When John Bercow, the Speaker of the House of Commons at Westminster, reached back through the centuries to cite precedent from 1604 on why Prime Minister Theresa May could not put the Withdrawal Agreement Bill forward a third time for a meaningful vote, you might indeed be tempted to believe that it is indeed stuck in a time warp. Well, if Brexit ever does happen, later or sooner if ever at all, one of the more practical issues facing those Members of Parliament will indeed be whether they should follow in lockstep with the European Parliament when it comes it keeping time. As it stands right now, both the UK and the Republic of Ireland — along with Portugal and Spain’s Canary Islands off the coast of Morocco — all keep to the same time zone. That puts them one hour behind the rest of western Europe. Spain’s parliamentarians are looking at one proposal that would see them abandon western European time and return to the time zone the hour behind — putting them in lockstep with their neighbour on the Iberian Peninsula and the British and Canary Islands. Back in the days when Spain was run by General Francisco Franco after he came to power in the Spanish Civil War, he ordered all the clocks in Spain to be changed to Berlin time in part to curry favour with Adolf Hitler. Beyond that, there was little reason then — and even less reason now — why Spain should be out of sync with the UK, Ireland and Portugal. But there’s another timely measure under consideration in Europe — one that could isolate a post-Brexit UK ever further from the EU. And what’s worse, it could also potentially drive a further wedge between London, Belfast and Dublin — with a bit of Brussels thrown in for good measure. A committee of the European Parliament has been looking at the whole issue of the habit of changing the hours in the spring and autumn. Come Sunday March 28, the clocks across Europe will be put forward one hour, and will be put back come the last Sunday in October. 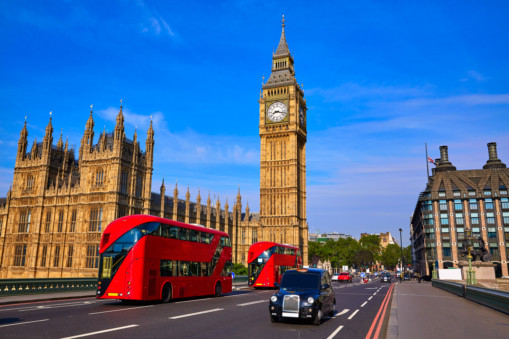 The transport committee has voted to end the annual clock change, and is recommending the custom end in two years’ time, and the proposal will be put to the full parliament in Strasbourg in the coming weeks. Some four million Europeans from the 27 EU states that matter — and the one that doesn’t — had their say as part of a consultation process. Naturally, individual EU states will have the right to set their own time, but the likelihood is that all will abide by the consensus set by the European Parliament, and will all go along with ending the arcane habit of turning the clocks backwards and forwards. While the time-change issue is one of practicality, some in the UK are taking the move as being just another display of arrogance. It was the British, after all, who came up with the concept of universal time and using it to allow their ships to plot longitude and latitude. If you have an empire to conquer and run, after all, you needed to be able to have your ships know where they are. Greenwich Mean Time, the Meridian Line — it’s no coincidence that it was set at what was the British Admiralty’s headquarters just east of London on the River Thames. Yes, proper time keeping, that’s what the British Empire gave the world. But if the European Parliament does indeed adopt the new changes, the UK will face some tough choices. Will it continue to abide by the arcane clock-changing tradition of switching to British Summer Time in the spring and falling back to GMT in the autumn? If it does continue as present, it will simply put the Brits even more out of step with the EU. What’s more, the issue of time-keeping itself could yet be another hugely divisive issue on the island of Ireland. Should indeed there ever comes a day when the Northern Ireland Assembly at Stormont, just south of Belfast, ever gets up and running again, it will have to decide whether Northern Ireland will stay in lockstep with the rest of the UK in changing its clocks, or will opt to keep pace with the Republic of Ireland, which would very likely follow the Europeans in scrapping the changing clock. Nothing in Northern Ireland is ever simple, and even the place-name used for the second largest city there is highly contentious. Loyalists — those who want to maintain strong ties between the province and the rest of Britain, call it Londonderry. For nationalists, who want to see a united Ireland and an end to British rule of the province, refer to it simply as Derry. As it stands now, only time will tell whether the clock is indeed truly ticking on changing those clocks. Yes, time is of the essence.